At the foot of the Battle Hammer Mountains, there is a large, briar covered mound called Black-Briar Knoll. Given that there no human settlements this close to the mountains and the woods around them are filled with many strange creatures and hidden dangers, the mound was so named by the people that once lived not too far from it, a people of fae called sprites. Sadly, these people were all but gone and until you saw the tunnel leading into the knoll and walked its depths you would never discover those that remained. Unceasingly seeking these remaining sprites was their foe, a great troll named Makas. Unfortunately for the troll, the fae he sought lived in no haven, commune or warren. In spite of being the last refuge for the sprites, Black-Briar Knoll was no faerie mound and they did not rule it. Something else did. Something that plotted Makas’ death, a task that proved difficult on account of its assistant. “Th-this is insane, you can’t have a trap like this on the first floor!” Thorn was arguing. “It’ll kill everyone!” Thorn answered. “Isn’t that what it’s meant for?” his master asked. The trap in question was a simple one by Brandr’s standards. Thorn had told him to that having traps was imperative for the first floor and in their implementation, he had gotten creative. This particular one was similar to the spike traps he had seen in Brandr memories only better. Instead of a set of spikes shooting from the wall or floor when a trip wire was triggered, he used a proximity ward. If the essence sensor was not disabled the right way, an entire section of the hallway filled with spikes. After seeing it displayed once, Thorn was horrified. The thing was a party killer. He could already see droves of beginner adventurers being culled by it. In fact, he doubted even he could avoid it. He had not sensed anything wrong with the place until Brandr did his demonstration and he doubted anyone without great mana sensitivity could. Without realising it, the sprite lord, who had just hours before been running around like a headless chicken had forgotten all about the troll coming to eat him and his people. Perhaps, it wasn’t that he had forgotten. he simply could not consider the troll a threat with Brandr at his side. But then again, after seeing the power the dungeon core packed, who would? That notwithstanding, it was a bit funny how his priorities had shifted from trying to survive to trying to ensure his master did not slaughter everyone who walked into his dungeon. Brandr frowned. The trap truly was simple. He’d used Thorn and his people as the basis for it. His assessment showed Thorn to be at the cusp of foundation establishment and his sprites, the essence condensation stage. Something like this was only supposed to catch the unwary and the foolish. Were they really that bad at sensing essence? A few questions later, he discovered that yes, they were. Thorn had looked completely lost when asked questions about spiritual sense and scrying. In the end, he revealed that the majority of people had no way of extending their senses past their bodies. Most, like Thorn himself, relied on techniques similar to his world link to identify anything they encountered. Such techniques were important for adventuring and though the majority of them were relatively poor you couldn’t be trusted to lead a party if you did not have any such skill. One of the perks of being a divine artificer was that lots of deities came to you for commissions. Want to leave a legacy but have no expertise in building a testing ground? Go see a formation expert or better yet, just find someone who can make specialised estate treasures. Is your longevity running out? Do you want to build a befitting tomb or mausoleum? Do same. As a divine smith capable of creating divine tier estate treasures, Brandr was contracted to build a few from time to time. In fact, at one point, he tried selling pre-made, fully customisable ones. It was a poor business venture. The thing about immortality was that people tended to forget to plan for death. The point was, he’d believed the skills would be easily transferable but now, he wasn’t so sure. Shooting a withering look at his so-called assistant, he tried to come up with something else. There was a reason he’d asked the sprite lord about the things he could or could not do. In the end, however, it had talked a lot and said nothing. What happened to no matter how dangerous it was, adventurers will come if there’s loot? He needed to come at this from another angle. He could make things more obvious but the irony of using obvious traps to lure in prey was not lost on him. As stupid as it sounded, he didn’t think he had much choice. He’d probably have to make the traps obvious in the beginning and reduce their lethality then, remove the warnings and training wheels after the third floor. Anyone who died to them then, deserved to die. Back when he scoured mystic realms, he had nothing to rely on but his skills, wit and gear. They’d have to learn to do same. Reaching the last chamber before the one he designated for his guardian, Brandr pulled the sprite in close. Thorn dived right in. Most of the sprites were good with a sword but the majority of them never trained for combat. They tended to the forest and its inhabitants. They did keep a small standing army in case of goblin incursions, etcetera but most the warriors were already dead. As he got down to how they usually dealt with their enemies, Brandr cut him off. “Stick to what you do and what you can do!” he told the sprite. Brandr glanced back at him before turning back to his current task. Using hand gestures, he raised gigantic vats of quartz from the ground. Once he had the three he needed, he set about inscribing glyphs on to them. Thorn watched all this with his jaw hanging loose. Thorn quickly composed himself. “Well, we’re fae!” he repeated. Brandr’s hand movements stopped. As a matter of fact, he ceased everything all together so he could turn around and look the sprite lord in the face. A $20 paywall is just too steep to me for such little output. Considering I’m not a fan of your main story, I just can’t justify $20 a month for the equivalent of 3-4 chapters diced into 8-12. Later. I understand, Freebeer! The advance chapters are there as a reward for those who are not only willing to and can afford to support the story on patreon. Also, that $20 is not just for the chapter but for an entire package of rewards that includes not only a free copy of all my ebooks in addition to numerous opportunities to contribute to the story. Thanks for reading the chapter! Hey, just wanted to let you know I like the story so far keep up the good work. Usually In a post like this I’d mention a few things I like about the story, but it’s so early on that I don’t have a really good feel yet for the stories strong and weak points. Anyways, I’m glad your writing a dungeon building novel because it’s my favorite kind of novel, and well there are a lot out there it’s pretty rare that an author sticks with it very long. Thank you for the kind words, Connor! It’s not just dungeon stories though. Too many stories get abandoned these days. I plan to stick with mine. I’ll do my best to give you a great story. I wonder how Brandr suggests to increase rheir mana. I would bet money on it being some crazy skill, but I don’t have any money. I’m looking forward to some more traps, because those are always fun to read about. I have arrived the Ancestor of the Dao, I was the being who imparted cultivation on mortals as I pitied them. Very technically speaking I am the World itself the Dark areas of the Void are my body holding the worlds in place. 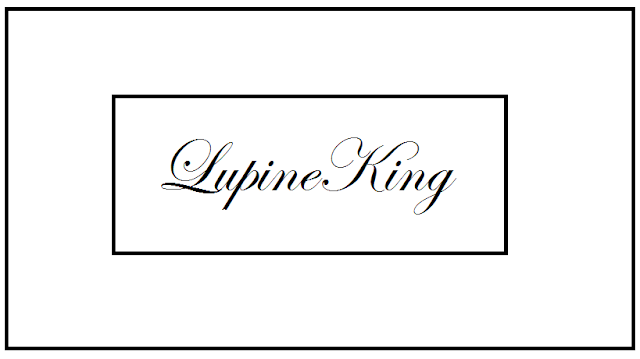 I have a recommendation for you, King of Lupines: Why not have Brandr create golems, puppets and sentient weapons? Surely he must know how, as he was a Divine Blacksmith. Great Ancestor, this humble King is grateful that you have spared him some of your precious attention. Nevertheless, I must plead with you to wait a bit more and see what this junior has planned and also stop using your all-seeing eyes to peek into my story notes. I invite you, Honoured Ancestor to stay and wish that you will partake joyfully in what I have to offer!